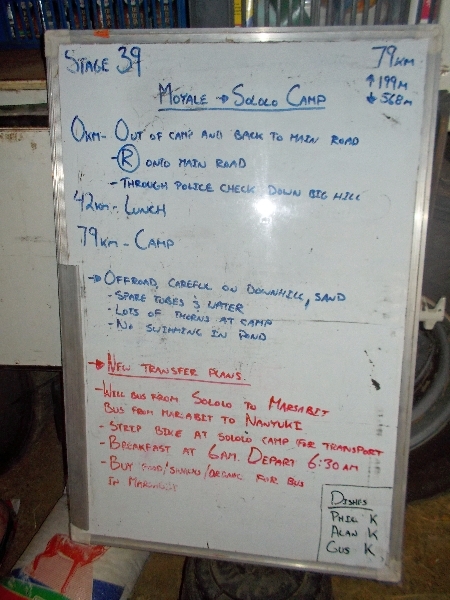 We were warned that today would be rough corrugated road mixed with soft sand. From all those warnings, today was actually better than I expected. Last night we camped near a prison in Moyale. 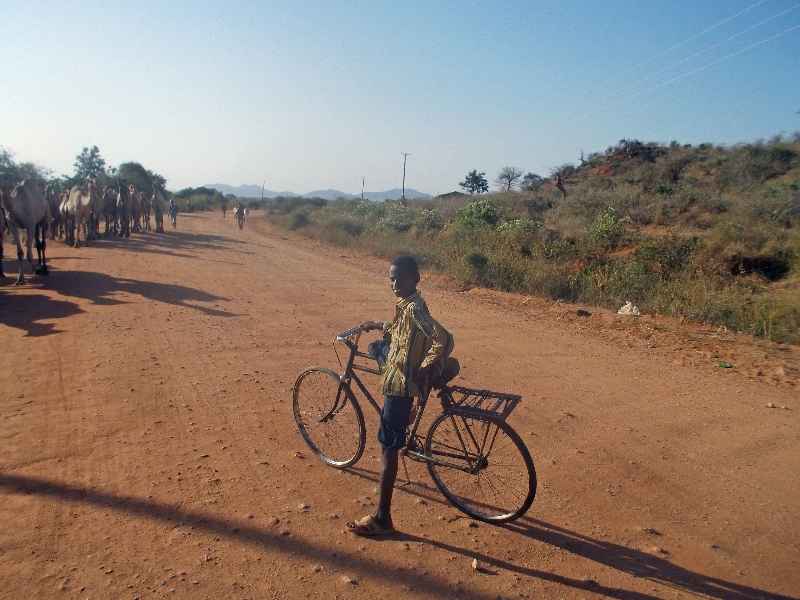 The ride started out going through the center of Moyale, which was still quiet from the day before. Locals helped guide us and point us in the right direction. That road headed down a hill. It was some rough riding, but there was still enough of a track to find. 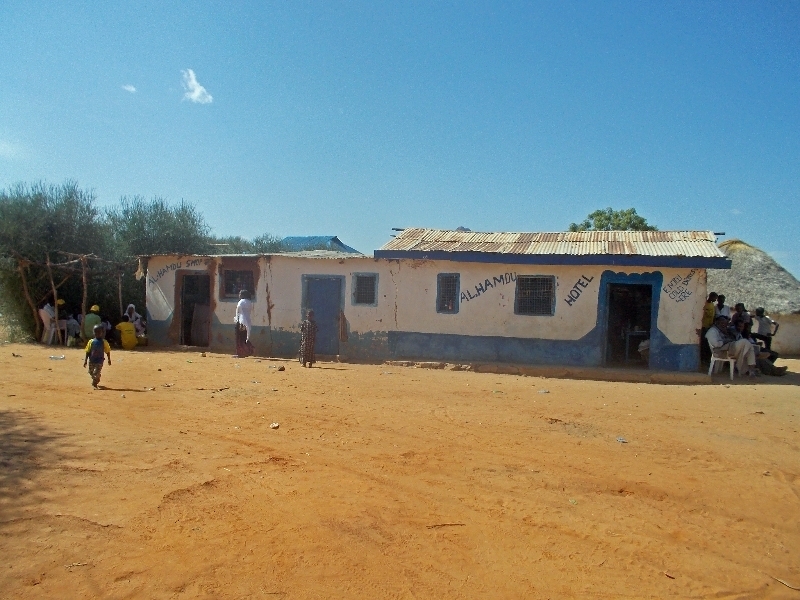 After Moyale, we were in the dry desert areas crossing a village after 5km or so. The Kenyan villagers are a little more shy than the Ethiopians, though they still yell out, “How are you?”. I try replying, “I am fine. How are you?” but this gets another “How are you” reply at least as often as anything else. We passed along several large herds of camels. These beasts are big! Still figuring out how they move along the road. Cows will generally stare for a while but then slowly move along the way. Goats will dart across. Donkeys in Kenya are a little more skittish and unpredictable, so give them some berth. Camels I haven’t fully figured out. After the village it was some steady cycling and was surprised to find myself at 40km by 10:30am or so. That wasn’t so bad! After lunch that road continued rough but passable though it also got warmer. At 60km my rear tire developed a slow leak. I pumped it up and that lasted another 10km. I also passed the TDA trailer where the welds holding the hitch had failed. Staff was figuring out how to get it repaired again. Without too much difficulty I found myself at campsite next to small village of Sololo. 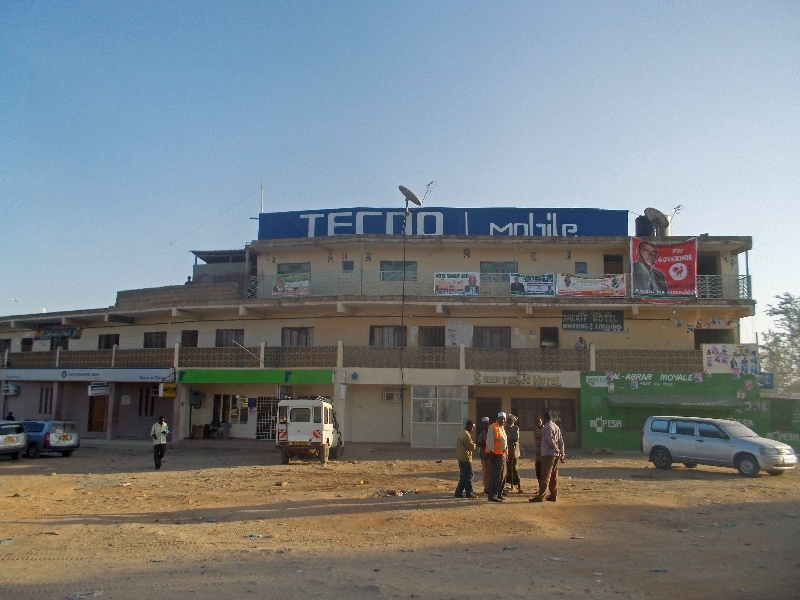 Below is a picture of the local “hotel” that had small store to buy some drinks and snacks. 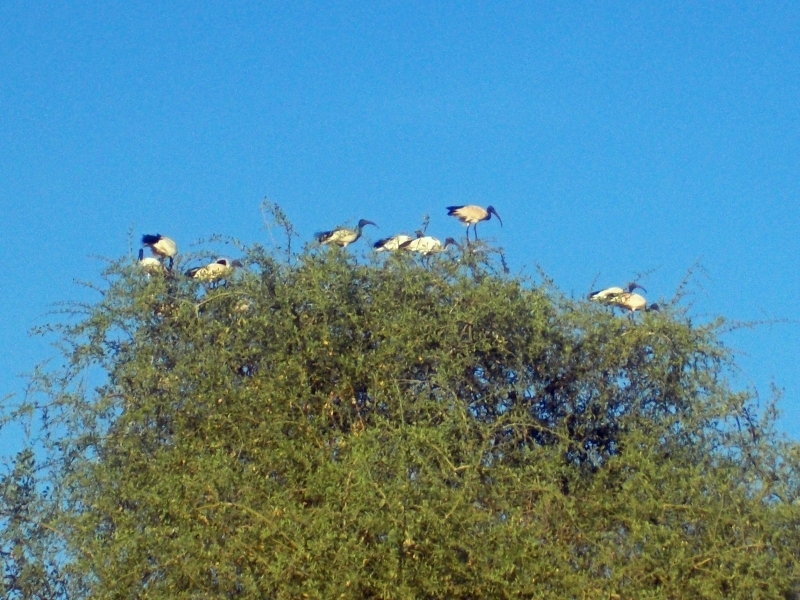 These birds (I’m told ibis) all liked to cluster in top of the tree. 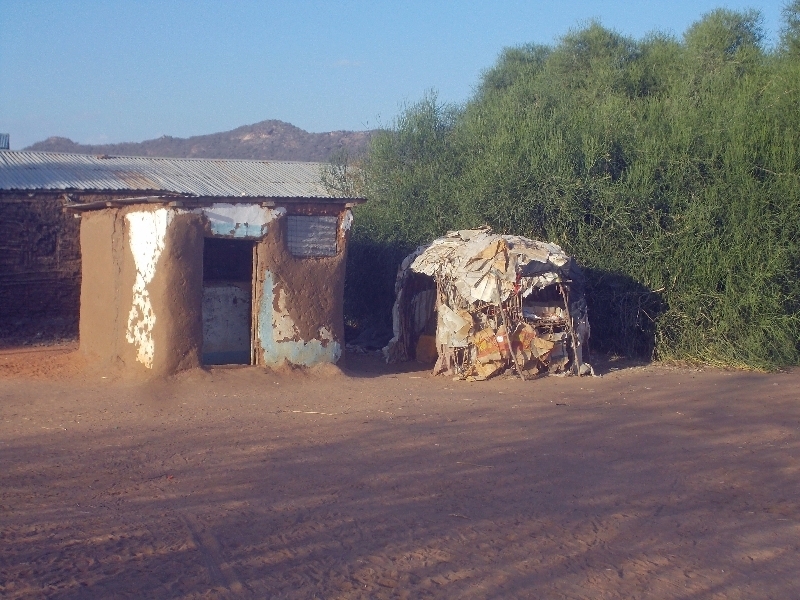 In Northern Kenya, the huts now seem to get adorned with lots of loose stuff to patch all the gaps. 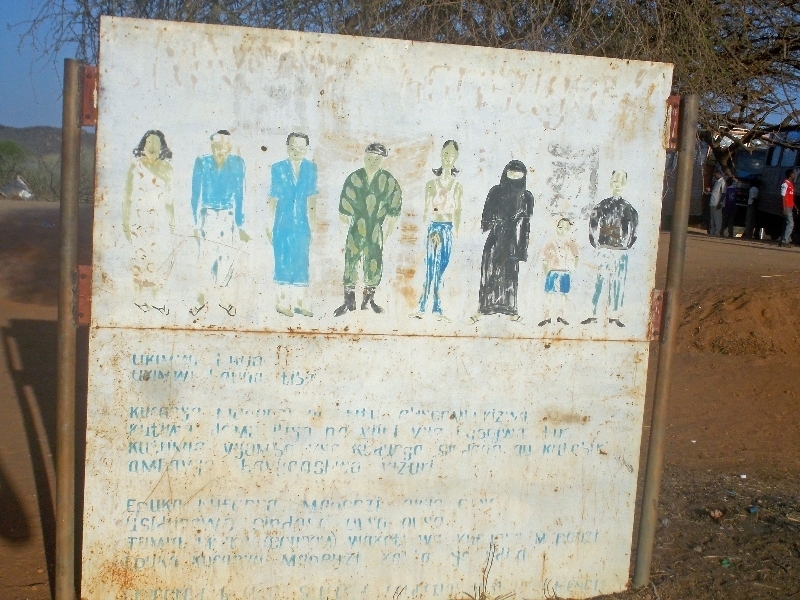 Also there was this poster showing people with various dress.